Recently I had a week. It was a full of highs and lows, peaks and troughs. Through my experience--as always--I view everything as a teaching moment, for myself and others. Sometimes in life, you gotta deal with a crappy lot and sometimes you feel as if nothing can go wrong. And then sometimes, the good and the bad occur so close together your just don't know how to feel. As a writer it is the same. Dean's List. Because your "baby," your book, is completely rejected or accepted, not much of a gray area or any in-betweens. Sure, you can try, keep trying. Good ole J.K. Rowling had double digits of rejection letters for Harry Potter, and look at her now. But each rejection letter hurts, it stings, like someone judging your child. As a mother of a special needs child, I understand judgment fully. And it is the same kind of heartache when your book is rejected. You worked so hard and long to make it its best, and then it is rejected in a standard form or letter without a real reason why. This hit me hard, a rejection from the publishers who recently accepted a novella of mine for their anthology. This was my trough which happened within the same week the anthology with my story was coming out. Peaks: of course, there is the opposite. 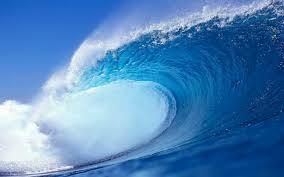 Every wave has its peak as well. I wrote a novella for a submissions call in a week. I pounded out all 67 pages in a couple days, to be honest. It just came to me easy since the anthology set up a premise for us. I revised it, and then proofread once. I should've proofread it one more time, but the deadline was approaching (not theirs but I was getting 80 research papers to grade). I submitted without any expectations. I forgot about it as I graded like crazy to close the semester out, when I received an email, an acceptance! It was my first publication and I was over the moon. This was a peak, a goal in life checked off--my name in print. It was a huge sense of accomplishment. The ocean analogy in reference to life is probably overused but it's so true for any instance. It's changing waters, vitriolic and yet soothing nature, and its hidden depths, all can relate to these descriptions in life. 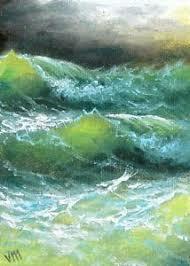 Particularly writing where one day your giving a unforgiving storming sea or you fall into a trough only to be lifted to the peak of a calm wave in the sweet summer sun. UPDATE: After a trough I've hit a peak! Details coming! retains the plan of a user in his/her mind that how a user can be aware of it.